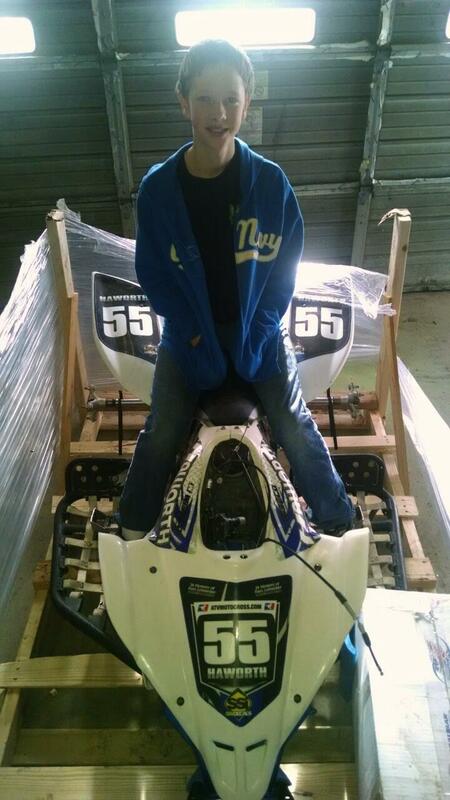 Chris Furches, a freshman, 15, and an accomplished motocross racer indoors and out. At the age of ten, Chris got his first ATV. It was a gift from his grandparents and it was obvious he was a natural talent on it. A year later he saw his first MX race and asked if he could try racing. On August 23, 2010 Chris lined up for his first race. He raced the rest of the season, finishing 5th in points and that same year his parents bought him his first race quad, an Apex 90. It was obvious to his parents that Chris loved racing. The new sport brought a lot of great things to their lives, and some new challenges. This freshman in high school, hailing from Tennesee’s oldest town, is typical teenager in many ways and atypical in one very certain way. Chris has Asbergers, a type of Autism.